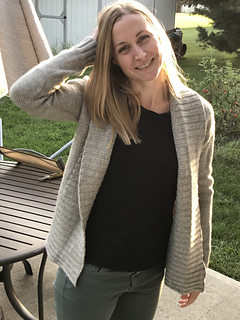 Tweedy Fog is a classic raglan top down open front cardigan with a generous rib collar and twisted stitch elbow patches. 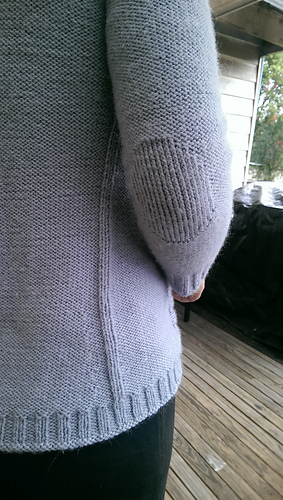 If you are anything like me, your elbows wear out way faster than the rest of the sweater, hence…elbow patches! The simple and classic silhouette is perfect for tweedy, speckled and marled yarns but will look equally great in solids. 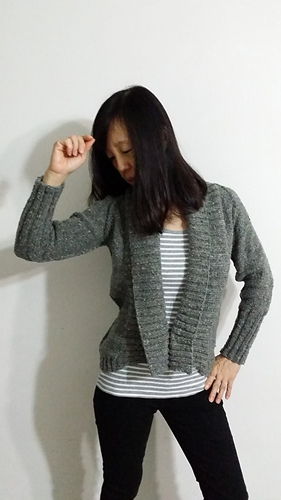 The cardi is totally seamless and works up quickly due to its simplicity. And….! If you are careful about weaving in ends, and use a reversible entrelac pick up method when working on the collar (thank you my wonderful testers! 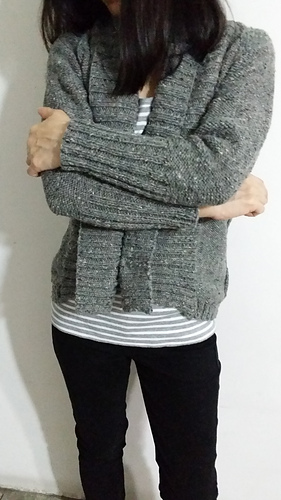 ), this cardigan becomes reversible. 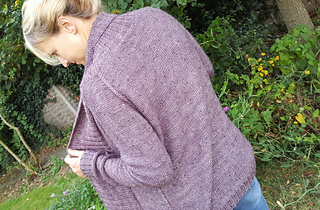 My cardi has the purled side as the right side because I love purled side but you are free to wear it on the knit side.